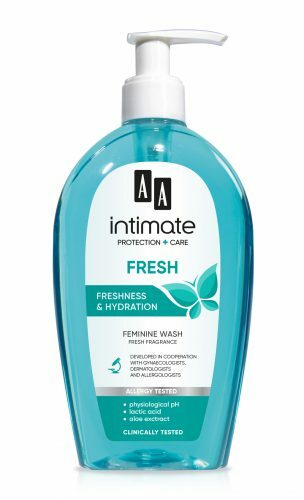 ANTI-INFECTION PROTECTION AND SOOTHING – Due to specially developed formulation the emulsion provides a unique and long-lasting feeling of freshness, protection and care. Product developed in cooperation with specialists in the field of gynecology, dermatology and allergology. 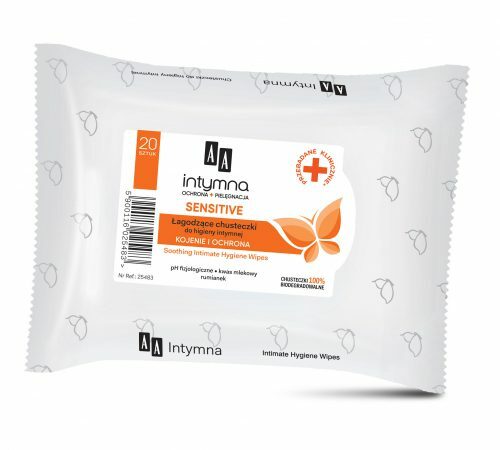 PROTECTION AGAINST INFECTIONS – Lactic acid provides a suitable pH of intimate area, restoring the natural microflora, and interacting with an antifungal and antibacterial component, it prevents infections and inflammations. 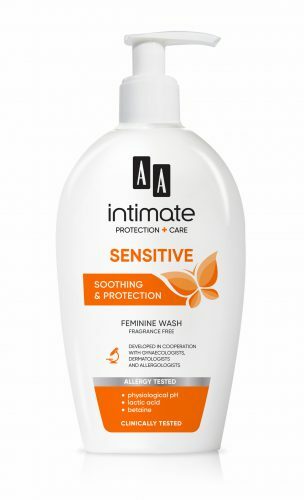 SOOTHING IRRITATION AND REDNESS – Thanks to allantoin and D-panthenol, the wash supports the regeneration of irritated and reddened epidermis, restoring skin comfort. PREVENTS DEHYDRATION – Betaine provides optimal hydration and protects the epidermis and mucous membranes from dehydrating. Aqua, Sodium Laureth Sulfate, Lauramidopropyl Betaine, Lauryl Glucoside, Betaine, Coco-Glucoside, Glyceryl Oleate, PEG-75 Lanolin, Aloe Barbadensis Leaf Juice, Undecylenamidopropyltrimonium Methosulfate, Allantoin, Lactic Acid, Styrene/Acrylates Copolymer, Benzophenone-4, Panthenol, Sodium Benzoate, Potassium Sorbate, Tetrasodium EDTA.